Representatives from six countries met to discuss actions for the region’s social and economic development, with IICA’s participation. Brasilia, August 9, 2018 (IICA). Making headway towards practical cooperation to bolster the South American Midwest Integration Zone (Zicosur). This is the main goal of the “Meeting of Ministers for Foreign Affairs of Zicosur Member States”, held in Curitiba, Parana, this Wednesday through Friday (August 8-10). 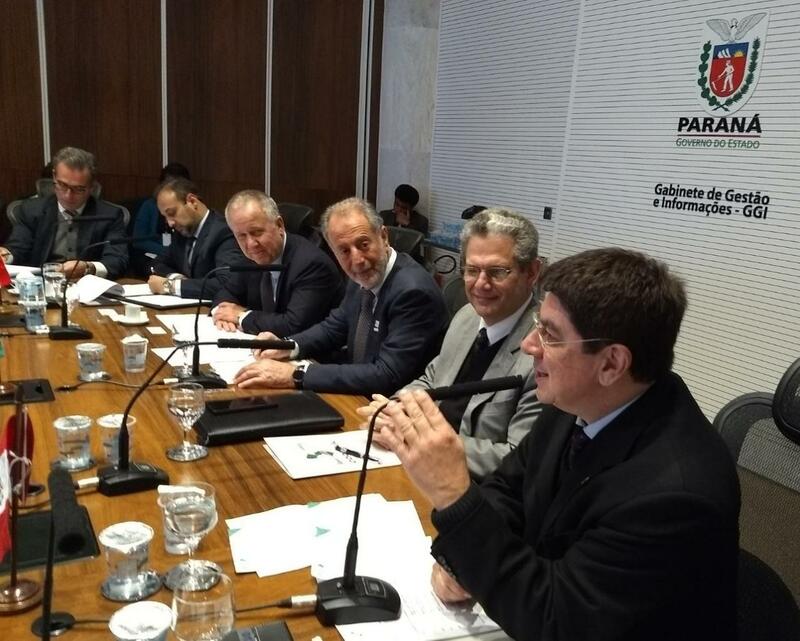 Coordinator for the Southern Region at IICA, Caio Rocha, participated in the meeting held in Curitiba. The meeting will serve as a venue for the development of a work plan and to draft cooperation agreements between Zicosur and the Organization of American States (OAS). To that end, the OAS appointed two officials sent specifically to take part in the conference: James Lambert, OAS Secretary for Hemispheric Affairs, and Caio Rocha, Coordinator for the Southern Region at the Inter-American Institute for Cooperation on Agriculture (IICA). Zicosur is made up of 50 adjoining regions belonging to Argentina, Brazil, Chile, Paraguay, and Peru, all of which are adjacent to the Tropic of Capricorn. “IICA has the potential to support sustainable rural development in the regions comprising the South American Midwest Integration Zone, as it possesses the expertise in various fields, has a local presence in the countries of the region, and works with both private and public agencies”, said Caio Rocha. As an initial step, the cooperation agreements between the OAS and Zicosur will be drafted with a view to developing networks and providing members with a set of tools meant to facilitate the exchange of goods, investment, and knowledge. The first agreements to be signed will cover the areas of sustainable development, trade and competitiveness, science and technology, comprehensive development, and the environment. According to IICA’s coordinator for the Southern Region, the top priority stemming from the discussion about the agricultural sector has been developing the American Chaco region, which spans some 100 million hectares. “The goal is to carry out actions to mitigate climate change, fight desertification, attain productive inclusion, and overcome poverty. IICA has a great deal of experience with cooperation in those fields,” explained Rocha. Zicosur extends over more than four million square kilometers, with a population of more than 73 million. This proposed integration zone is meant to promote the inclusion of such regions into the international context based on competitiveness, by boosting foreign trade with international markets through concerted action in various fields. It also seeks to promote social and cultural integration of the peoples involved, in the interest of their own socio-economic development.